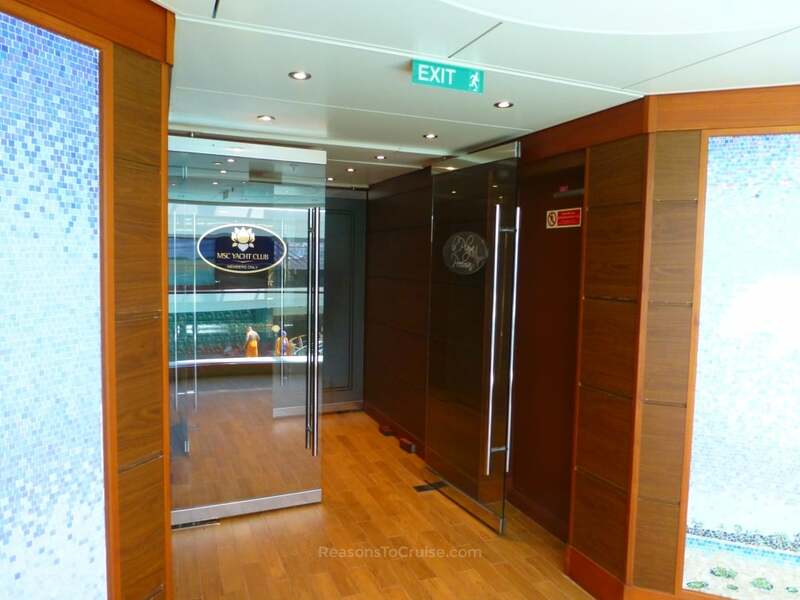 Most cruise lines segregate by cabin grade, particularly when it comes to suites. Suite guests often get access to perks and areas that regular passengers do not. That might include an exclusive restaurant or private deck space, priority embarkation, priority seating at theatre shows, and so on. MSC Cruises is a bit different and offers "experiences". Take the Yacht Club for instance. Value hunters can book an inside cabin on the Yacht Club experience, usually at a cost saving compared to the same category of suites. On other cruise lines, the best cabins are suites, and they are all large, expensive rooms with balconies. On MSC Cruises, you can mix and match many cabin grades with experience levels (subject to availability, of course). But which level is best? It's a question that regularly crops up in my inbox, which is why I put together this guide. Accommodation in a comfortable cabin albeit in a less desirable location. The chance to choose your preferred dinner seating. This will be confirmed on board so you won't know what you've got until you get on the ship. Both of these are subject to availability. The MSC Cruises website lists more 'perks' for the Bella category, but these are standard features that apply to all sailings in all grades (e.g. access to the buffet, access to the pool area, etc.). Delivery of room service order is chargeable, as is the food. This includes breakfast. No inclusive drinks as part of your cruise package (although you will find self-service water, tea, and coffee in the buffet). If you do not tend to use room service, or you tend to buy a drinks package, or you do not need the flexibility to amend your booking, this is the ideal experience for you. It's basic, no-frills, and great value for money. The major downside to a Bella grade cabin can be its location - Bella cabins are usually in the worst of places for noise, privacy, and/or views. On MSC Meraviglia, my Bella grade cabin was located directly above a nightclub, with booming music playing until at least midnight. Hearing Italy's Eurovision entry at full blast certainly delivers an authentic Italian experience at sea! The balcony overlooked the lifeboats and was itself overlooked by the balconies above. The next level up from Bella is Fantastica. Most customers tend to compare these two packages the most, and while Fantastica includes extra perks, the difference is not as great as you might think. A comfortable cabin in a more desirable location on the upper decks. Priority in choice of dining times in the restaurants. You can switch your preferred dinnertime after you have made your booking or after you board the ship. Free delivery of room service orders. Delivery of room service breakfast and the food is free. Dedicated activities for kids including foreign language learning games and Doremi Chef cooking sessions. 50% discount on fitness classes and personal trainer for adults. Maximum flexibility in changing booking details such as passenger name or the sailing date (charges may apply). Again, all the above options are subject to availability. If you prefer to have dinner at a set time, or want dining flexibility, or enjoy in-cabin dining, Fantastica is the experience level for you. It usually comes at a small premium over Bella. Keep an eye out for deals as MSC regularly offer free upgrades from Bella to Fantastica. From here, the packages diverge with little overlap. The Wellness experience aims at fitness fanatics who like to stay fit on holiday. The Aurea experience focuses on the relaxation seeker, and the Yacht Club aims squarely at luxury connoisseurs. This new experience level is born out of the cruise line's partnership with Technogym. 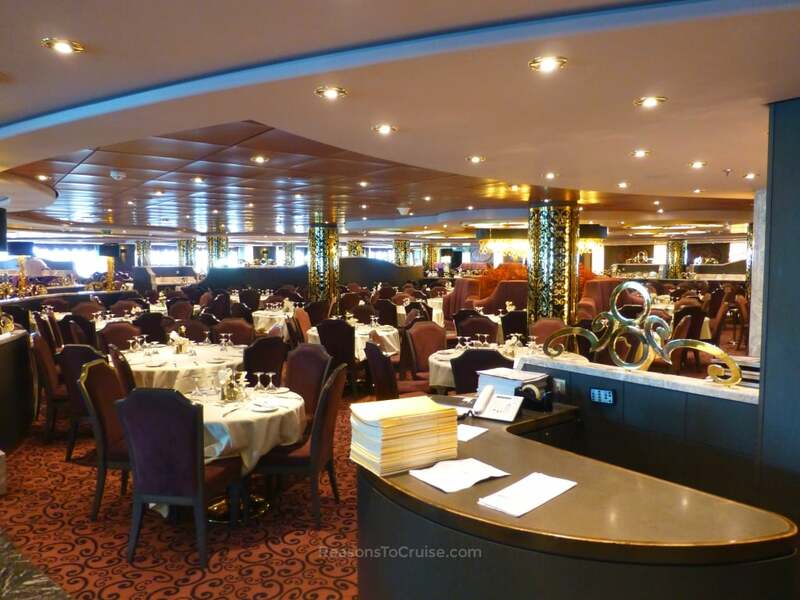 My Choice dining with a priority lane at complimentary restaurants on selected ships including MSC Meraviglia, MSC Seaside, and MSC Seaview. On other ships you'll My Choice dining in a reserved area of the restaurant. You get a Wellness Welcome Kit in cabin comprising of a T-shirt, shorts, sport towel, and bracelet. Get a one-to-one health check-up with the MSC doctor. Have a one-to-one inbody analyser test with your personal trainer. Take advantage of a personalised indoor/outdoor Wellness programme, with one gym class per day (or every other day on cruises longer than 7 nights). Remember, there are no classes on embarkation and disembarkation day. Access to book optional Wellness shore excursions. Free water from the bars, restaurants, buffet, and in the cabin. One sports drink per day in the in-cabin minibar. Take advantage of the laundry service for your gym clothing. Internet access to the Wellness Experience app. Take home a souvenir with one group photo with all guests on the Wellness experience. All the above options are subject to availability. The Wellness experience targets fitness fanatics. If you expect to spend much of your free time on the ship in the gym, this experience offers additional features over Bella or Fantastica that may suit. For some, the cost of upgrading from Bella or Fantastica to Wellness exceeds the benefits. If you prefer to train alone, are not bothered about energy drinks, free water, free gifts, fitness classes, and an appointment with the doctor, Fantastica would be the next best experience. After all the energetic excitement of the Wellness experience, it is now time to look at the soothing and calming Aurea experience. This package is ideal if a cruise means relaxation to you. Amongst the best sea view cabins on the upper decks. Free all-inclusive drinks package (the Premium Package according to travel agents in the USA, the Easy Package according to MSC UK - to be confirmed). Priority boarding and luggage delivery on embarkation day. Spa well-being package, which includes one free massage of your choice from the Spa menu (up to 60 minutes), a tanning shower, a welcome cocktail, a private wellness consultation, and free access to the Thermal Area throughout your cruise (for adults only). Ensure your cabin smells divine with a 100ml MED by MSC room diffuser. This smells heavenly - so much so I wish MSC sold this online so I could stock up! Access to the Aurea sun deck or solarium to relax (where available). Dine at a time that suits you with My Choice dining. One complimentary photo for each guest (taken on the Mediterranean Night in the main restaurants). 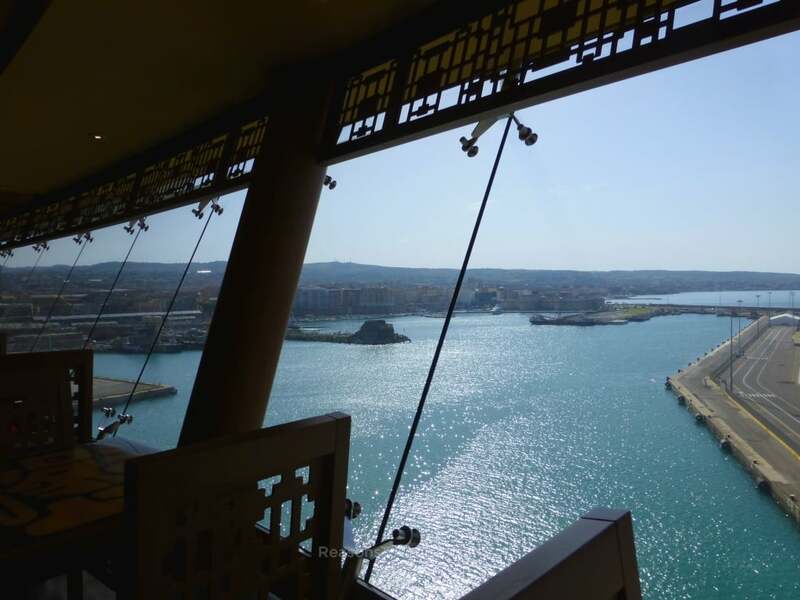 I stayed in an Aurea Duplex Suite on MSC Meraviglia and loved every second of the experience. Relaxation is the order of the day with the Aurea experience, and it gears to spa lovers. The all-inclusive drinks package, the free massage, and the thermal suite access are the real perks here. The cost of the Aurea package is much more than Bella and Fantastica, but remember to factor in these benefits when assessing value for money. Book the Aurea package if you are a spa lover. The top-tier experience is the MSC Yacht Club. Combine this experience with booking a suite, and you will have a cruise holiday experience similar to suite experiences found on other cruise lines. I have yet to experience the jobs of this ultra-luxury experience, but the reports I've read from fellow cruise bloggers and travel agents who have been lucky enough to try this tier rave about it. Stay in a lavish suite at the upper front decks of the ship. Dedicated priority check-in and check-out. Butler service available 24 hours a day. Dedicated concierge available 24 hours a day. Unlimited drinks in all MSC Yacht Club areas as well as the mini bar in your suite. Free all-inclusive drinks package (the Premium-Plus Package). Complimentary access to the Thermal Suite in the MSC Aurea Spa. Enjoy dining at any time in the private MSC Yacht Club restaurant during opening hours. Access to an exclusive Sun Deck with pool, whirlpool, solarium, and bar. Make use of the Yacht Club lounge with its bar, afternoon tea service, and light bites available 20 hours a day. There's also live music here each night. Tip: There is also a MSC Yacht Club Wellness Deluxe Suite available on MSC Meraviglia. This fuses the benefits of the MSC Yacht Club experience with the perks of the Wellness experience. Rather than include the benefits of the Wellness and Aurea experiences, the Yacht Club experience is an altogether different package. There are glimmers of overlap, but you do not get the free massage from the Aurea experience or the complimentary fitness classes of the Wellness package. Butler and concierge services plus access to exclusive areas are the reasons you would choose this package. Clearly MSC Yacht Club outstrips the benefits of the Bella and Fantastica experiences. Where Bella and Fantastica is sold on the bases of value and no-frills, MSC Yacht Club is sold as the most luxurious choice. It is incredibly popular too, helped by a limited supply of Yacht Club cabins on each sailing. Despite the high price tags, these cabins are snapped up very quickly by those in the know, so book early if you want to try MSC's luxury experience. That ends my in-depth look at the various packages. 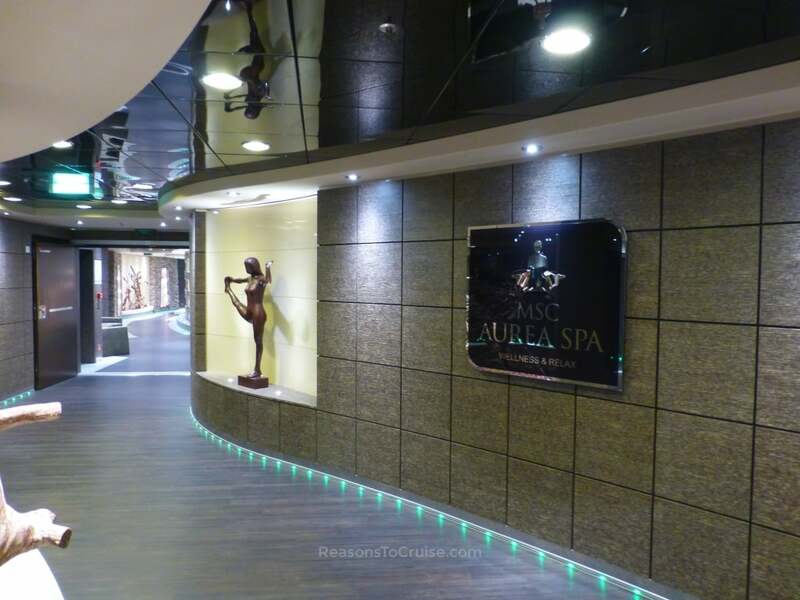 I would like to see MSC Cruises move to a system where each tier builds upon the last so that Yacht Club experiences benefit from the full range of Wellness and Aurea perks, but I imagine business reasons dictate why this is not currently the case. To conclude, here is a table of highlights of each package and who I think would suit each experience level. Which experience package would you choose on your next MSC cruise? Let me know in the comments below. Also, let me know if you have had first-hand positive or negative experiences with any of them. This article was originally written in early 2017 and things change rapidly in the cruise world during this time. I’ve updated the article for the 2019/20 season based on information directly from MSC Cruises (UK), although didn’t see anything that changed significantly. I’d be more than happy to investigate if you can pinpoint what you believe is outdated. David would you be aware of easy board option on msc Musica . I believe it is Easy Onboard, a priority boarding scheme, available on South Africa cruises as far as I can see. There’s some useful info here, although it related to MSC Sinfonia rather than MSC Musica.